The end is not in sight regarding the recent assassination attempt on the life of the Chief of Army Staff, Lieutenant General Tukur Buratai, by members of the Shiite sect, and the alleged killing of over 20 of its members by the Army. The incident has been condemned by notable Nigerians including Femi Fani Kayode, who described the incident as dangerous. 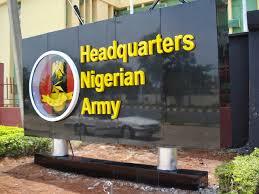 Punch Newspapers reports that the Nigerian Army has admitted to killing seven sect members and wounding 10 others. The Army said they acted to save the life of the Chief of Army Staff, adding that their action was in line with the rules of engagement. The Army said this in a petition with reference number NA/COAS/G1/52, which was sent to the Executive Secretary of the National Human Rights Commission (NHRC), Prof. Ben Angwe. In the petition signed by Col. F.U Mijinyawa, the Army accused the sect members of planning a petrol bomb attack on Buratai’s convoy. “Subsequently, they (sect members) suddenly resorted to firing gunshots from the direction of the mosque and hauling dangerous weapons towards the troops. Despite the troops firing warning shots, the El-Zazaki’s group continued attempting to forge towards the troops,” the petition said. Adding that “The troops immediately responded in line with Rules of Engagement as the life of the VIP (COAS) was seriously threatened. “Troops had to shoot their way through up to the Zaria Post Office area by PZ to provide a safe corridor for the COAS and the convoy to pass through before the arrival of the reinforcement from Depot NA. “The COAS then proceeded to the Emir’s palace for the courtesy visit before moving to Depot NA to review the 73 RRI Passing Out Parade. The Shiite sect leader, Sayyid Ibraheem Zakzaky, has since denied the allegations.